Flip a coin. If heads, prevent all effects of an attack, including damage, done to BigHead Noob during your opponent's next turn. If you Survive the Exploding Noob. 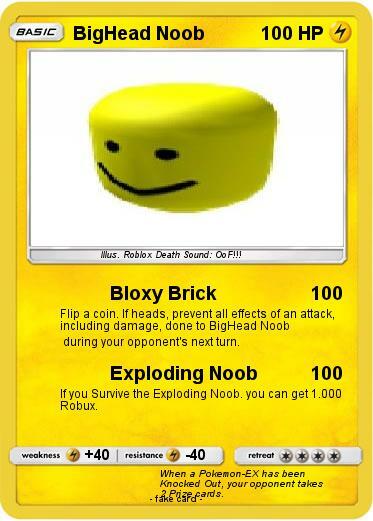 you can get 1.000 Robux. Comments : When a Pokemon-EX has been Knocked Out, your opponent takes 2 Prize cards. Illustrator : Roblox Death Sound: OoF!! !